An exposé of repression and resistance, “el enemigo común” documents paramilitary activity against indigenous communities in Oaxaca, Mexico from 2002 through 2005. The film “el enemigo común” scratches beneath the surface of neoliberalism, and some of the most hidden atrocities in recent North American history. The film documents instances of paramilitary activity against indigenous communities in Oaxaca, Mexico from 2002 through 2005 while including scenes from an international human rights movement in 2003, in Miami against the Free Trade Area of the America’s, and in Cancun against the World Trade Organization. The three locations in isolation expose the disparity of North American resistances, but together bring us closer to understanding the nature of an emerging common struggle. Tear gas, rubber bullets, and direct actions set behind the compelling faces and voices of survivors of incomprehensible atrocities expose the extremes of these relevant acts of modern political repression. The film challenges what we already know about paramilitary activity in Mexico, US involvement in said activity, and the current face of resistance against human indignity and injustice in North America Today. 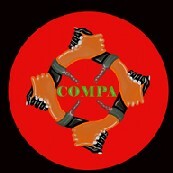 Bouncing back and forth from community to community, “el enemigo común” is both an introduction to some of the many ignored resistances in North America, and it is also an urgent call to action for international civil society, to stand in solidarity against state sponsored repression and for human peace, dignity and justice, in Oaxaca, Mexico. The film provides a historical context for the current violent incarnation of capitalism and empire, and provokes action against it as a common enemy. Is it possible to get a copy of the video? I am doing my PhD at the University of Calgary and I am looking at issues of governance and natural resources. Also, with other friends we started to create a database of films and videos about indigenous communities in America. My friends started with Canada and the USA and I am helping them looking for videos/films about Mexico. Do you know about other films or videos that maybe available on the Internet? or do you have information on people I could contact?